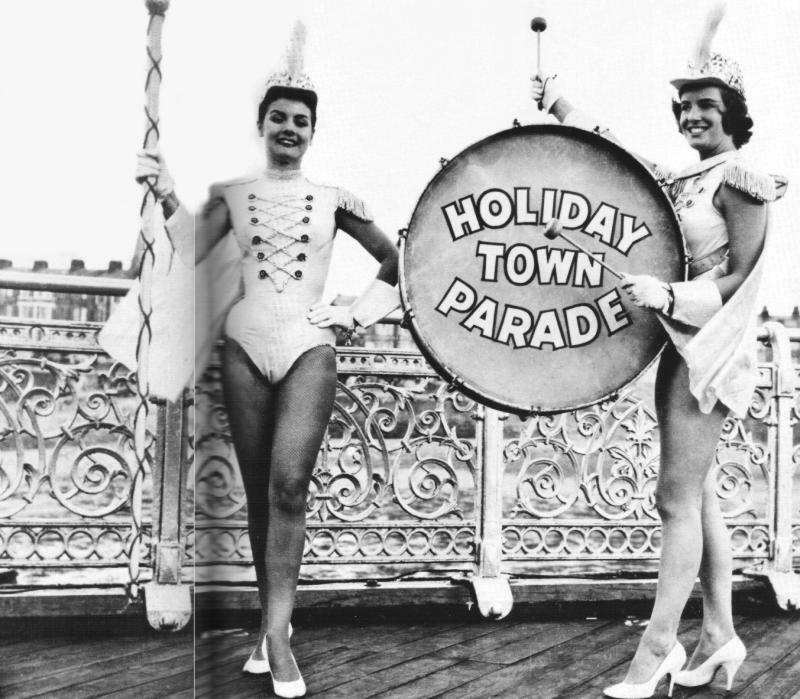 Over the years, Victoria Pier has been on the screen many times. Here we are trying to archive what we know into one place, and also update the list on imdb. If you know of any other appearances or have clips or information, please get in touch! Ah... so that's what they were doing! 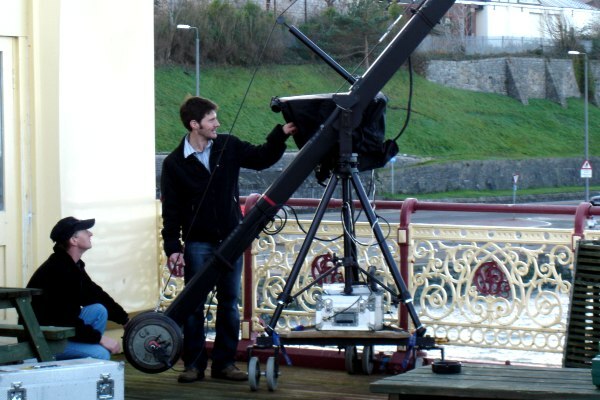 Director Carwyn Jones (right) with Jib Camera Operator Jeff Thomas lining up a flying shot of the Pier Pavilion. 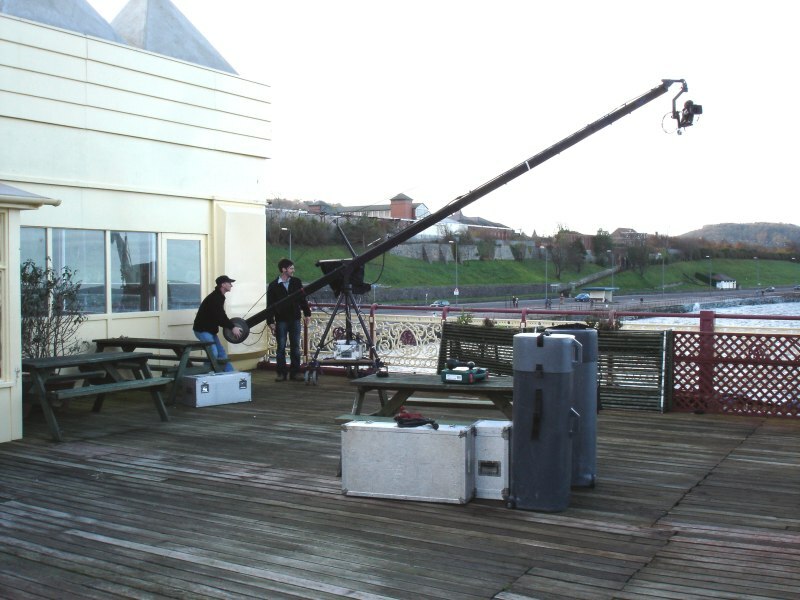 As part of a month of TV and Radio programmes broadcast about Colwyn Bay in Spring of 2007, this documentary film follows The Unique Harlequin Puppet Theatre, Victoria Pier and the Welsh Mountain Zoo as they all prepare for the coming tourist season. Broadcast in conjunction with the BBC Restoration series, this documentary features 4 restoration projects that are already underway, including Victoria Pier. The wonderful Patricia Routledge CBE (perhaps best loved as Mrs Bucket) and Dominic Monaghan (Merry in Lord of The Rings) filmed an episode of Hetty Wainthropp Investigates in Colwyn Bay, including several scenes on the Pier and in the Pier Pavilion. John Inman presented a documentary looking at the fate of Britain's seaside piers including Victoria Pier. This series was a regular summer attraction attracting audiences of up to 20 million, even though it was not fully networked. It started in ABC's first year of broadcasting in 1956, and was hosted from the outset by McDonald Hobley. It included the contest for Great Britain's Television Bathing Beauty Queen, Fashion Queen and Adonis. Sadly no recordings are currently known to exist, it sounds like a great programme! Do you remember this series? Were you in the audience at the Pier when one of the 3 episodes was filmed here? Perhaps you were even in the programmes or a member of the crew? - I'd love to hear you recollections. Does anyone know if this reference is to the same Eira Roberts? It seems pretty likely... There is also an Eira Roberts here on imdb who was in The Enigma Files An Eira Roberts was Miss Blackpool 1955 as listed here. 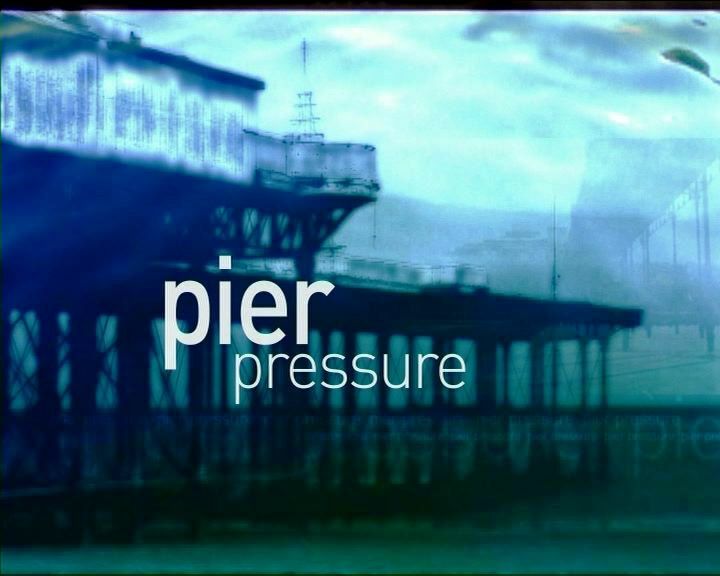 Remember any other Fils or TV programmes featuring the pier? If so, get in touch!